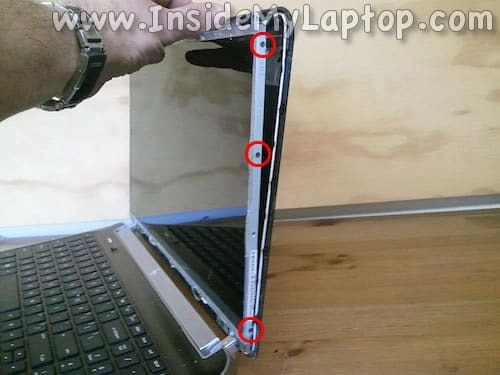 In this guide I show how to replace failed LCD screen on a HP Pavilion dv6t-6c00 laptop. These instructions should be the same for HP Pavilion dv6-6000 models. 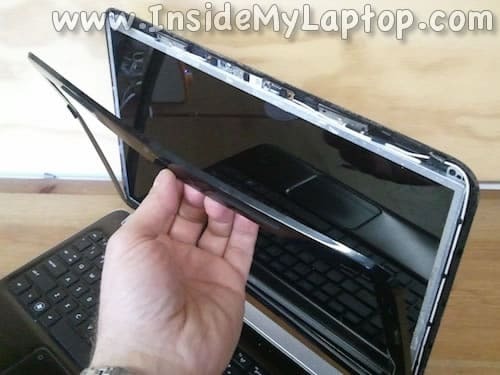 Don’t forget to remove the battery before you start taking it apart. 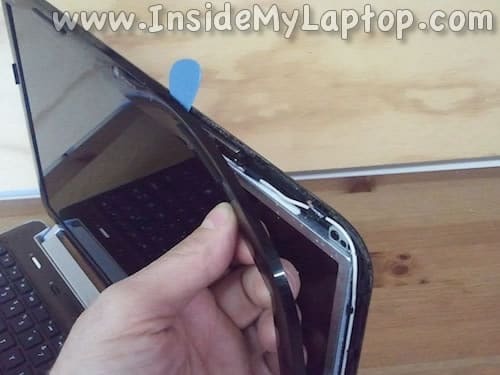 Remove the rubber screw cover from the lower left corner of the display bezel. 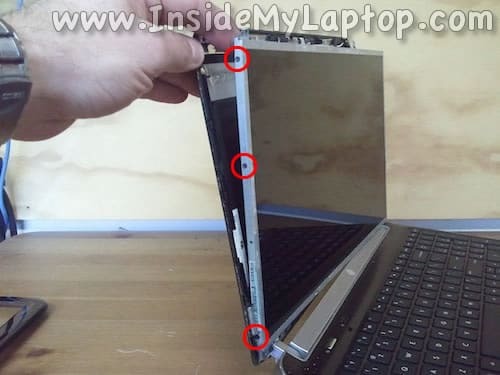 Remove the second screw cover from the lower right corner. 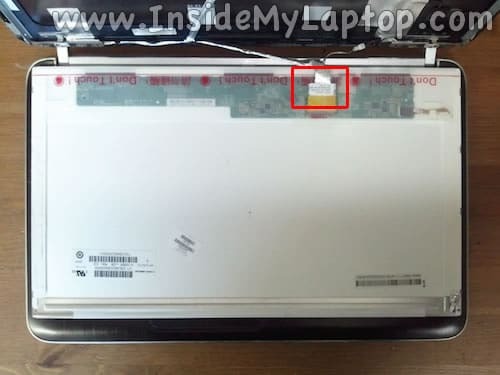 The display bezel is glued to the LCD panel frame with sticky tape. Carefully insert a guitar pick under the bezel and separate it from the frame. 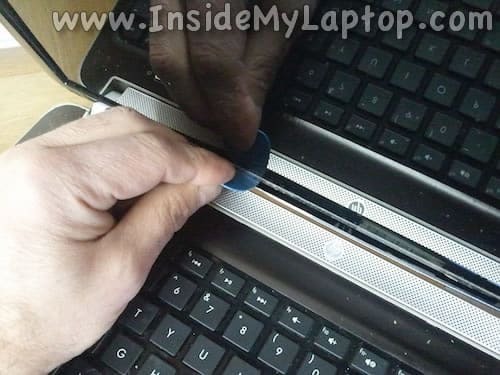 Continue removing the bezel on the right side with your fingers. 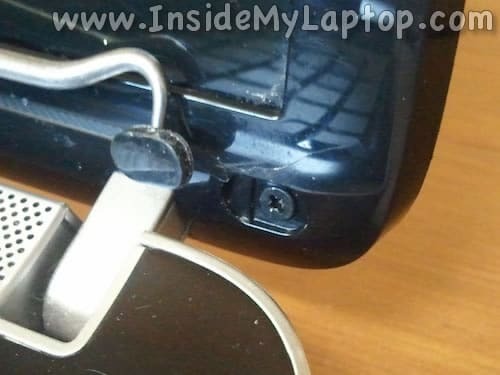 The guitar pick will help you to unlock hidden latches securing the bezel. Wiggle it while moving along the side. After you separate the bezel from the display cover on the top, move to the lower side. It’s glued to the LCD panel frame. 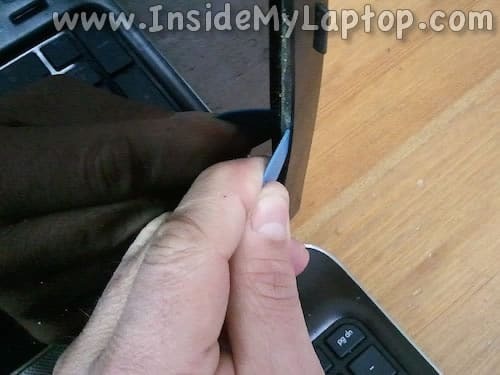 Again, use the pick to separate the bezel from the frame. Remove screws securing the left and right screen mounting brackets to the top side of the display cover. 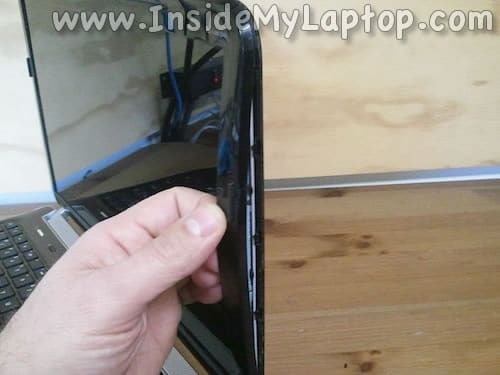 Carefully separate the LCD panel from the back cover and remove three screws from the right mounting bracket. Remove three more screws from the left side. 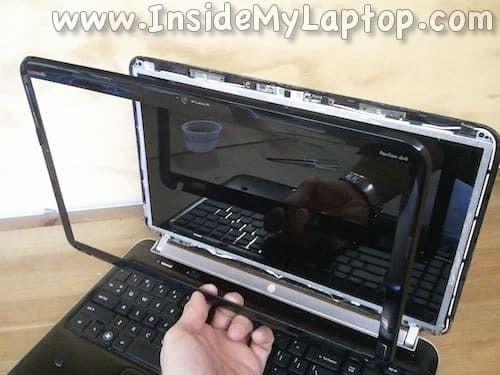 Separate the LCD panel from the back cover and place it the front side down on the keyboard. 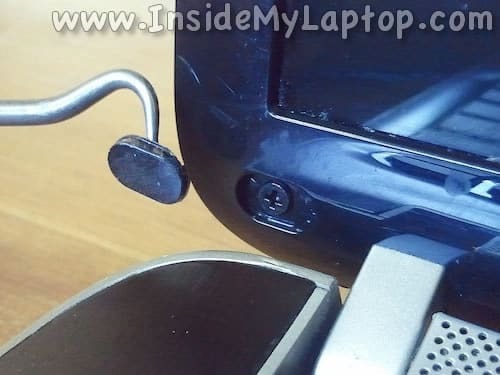 The video cable is secured to the connector by clear tape. 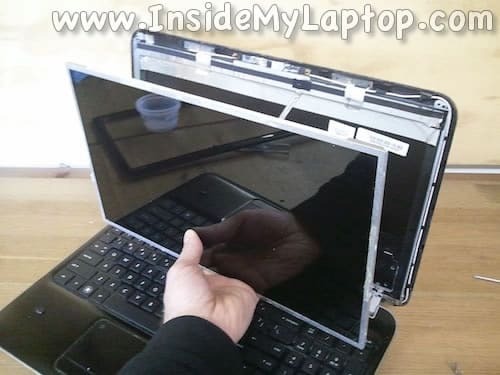 Remove the LCD panel from the laptop. It’s ready to be replaced. Assemble the display following all above mentioned steps in the reverse order. 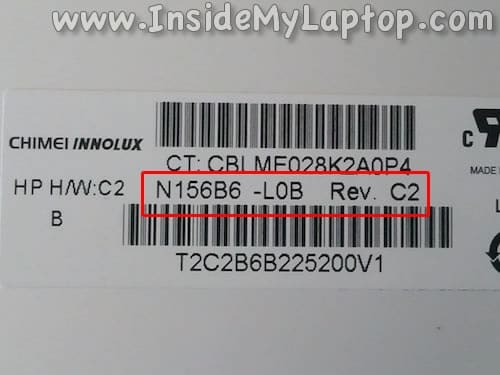 When you search for a new replacement screen you should use the model number printed on the back of the original one. 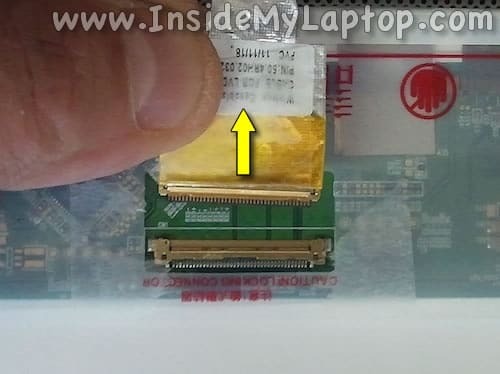 Also, you might be interested in compete disassembly instructions for HP Pavilion dv6-6000 model which is similar to Pavilion dv6t. 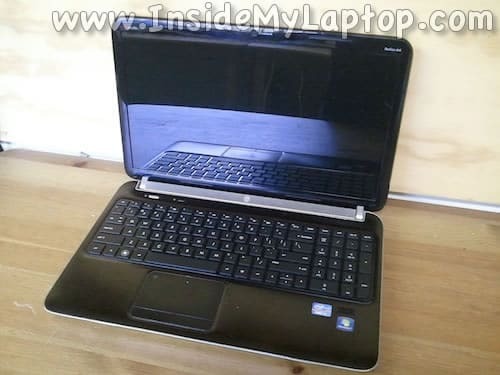 Hi, I have HP dv6t-6b00. Looks similar to yours. The bezel cracked recently and I want to replace it. 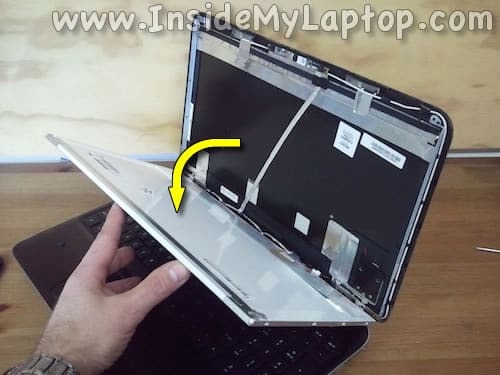 Seems as easy as removing the two screws that hold it, removing the bezel (steps 1-8) and then installing a replacement part. 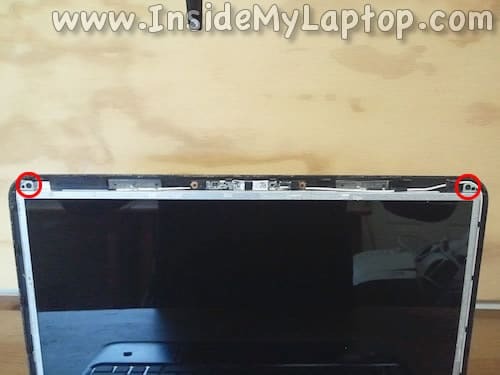 If the bezel is glued to the frame, what’s the procedure to install a new one? Does it come with new tape or should I reuse the old one? Thank you!